Iranian President Mahmoud Ahmadinejad says an alleged plot to kill the Saudi ambassador to the United States was fabricated by Washington to cause a rift between Tehran and Saudi Arabia, and to divert attention from U.S. economic problems. 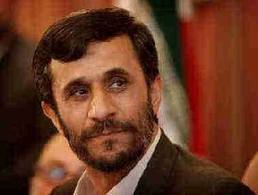 In an interview on Al-Jazeera television late Monday, Mr. Ahmadinejad said the U.S. will achieve nothing by accusing Iran. He denied that the Islamic Republic and Washington are on a “collision course” toward military conflict, but he condemned what he called widespread American “interference” in regional affairs. Earlier Monday, the state-run IRNA news agency said Iranian Foreign Minister Ali-Akbar Salehi has urged the U.S. to present Iran with any existing documents in the case. Iran has denied the allegations, and Supreme Leader Ayatollah Ali Khamenei said Sunday that any “inappropriate” political or security-related action by the U.S. on the issue will bring a “decisive response.” Like Mr. Ahmadinejad's subsequent comments, the supreme leader said the U.S. allegations are an attempt to divert attention from its domestic problems. U.N. Secretary-General Ban Ki-moon said Monday he has received letters about the alleged plot from Iran, the U.S. and Saudi Arabia. He said he has forwarded the letters to the Security Council for its consideration. The highest-ranking U.S. senator on intelligence matters, Diane Feinstein, told Fox News Sunday that U.S. authorities have collected ample evidence showing the involvement of Iran's elite Quds force in the plot. The U.S. Justice Department announced last week it had broken up an alleged Iranian plot to assassinate the Saudi ambassador to the U.S., Adel al-Jubeir. Officials said the U.S. filed charges against two Iranians for involvement in the plot, including one who was part of the Quds Force. The U.S. held a face-to-face meeting with Iranian officials about the alleged plot in order to make it “absolutely clear” that Washington considers the allegations “unacceptable” and a violation of U.S. and international law.